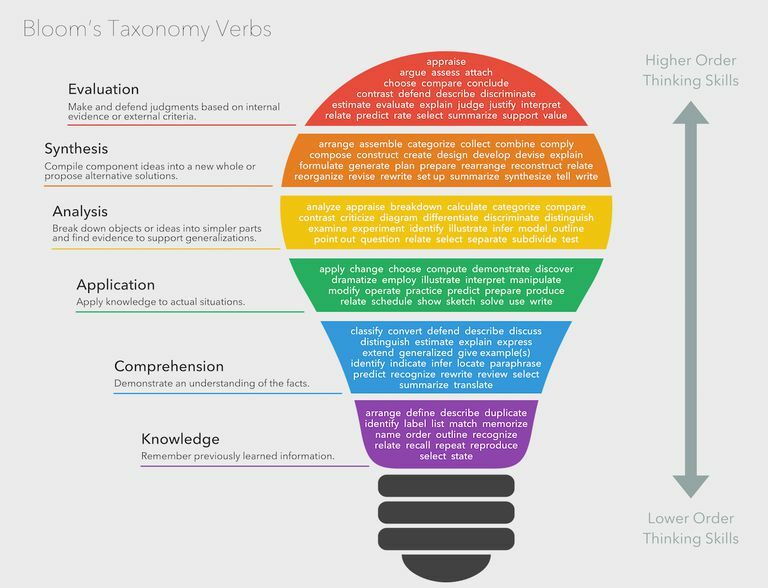 The hierarchy of Bloom's Taxonomy is the widely accepted framework through which all teachers should guide their students through the cognitive learning process. In other words, teachers use this framework to focus on higher order thinking skills. You can think of Bloom's Taxonomy as a pyramid, with simple knowledge-based recall questions at the base. Building up through this foundation, you can ask your students increasingly challenging questions to test their comprehension of a given material. By asking these critical thinking questions or higher order questions, you are developing all levels of thinking. 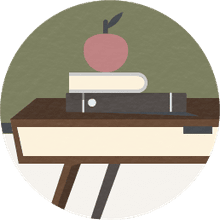 Students will have improved attention to detail, as well as an increase in their comprehension and problem-solving skills. There are six levels in the framework, here is a brief look at each of them and a few examples of the questions that you would ask for each component.